A new USB 2.0 Female to RJ45 Ethernet Cable Adapter. 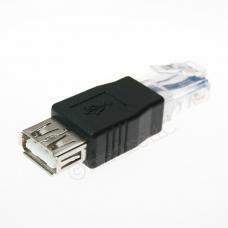 The adapter can be used to convert most USB 2.0 to RJ45. Item ships out the same or next business day including most Saturdays.